These birds live in savannah grasslands, scrub and light woodlands across eastern and southern Africa. They are widespread but sparse, mainly living in national reserves or protected areas. 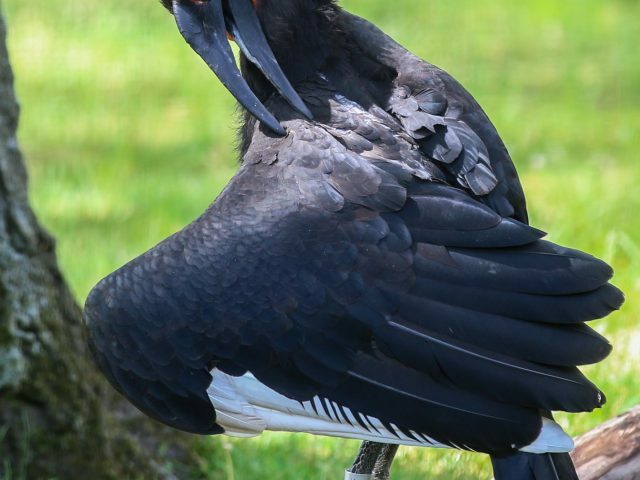 The largest member of the hornbill family, southern ground hornbills have black plumage with white flight feathers. It has vivid red patched of bare skin on its face and throat and a large black bill. Females differ by having violet blue patches at the throat below the bill. 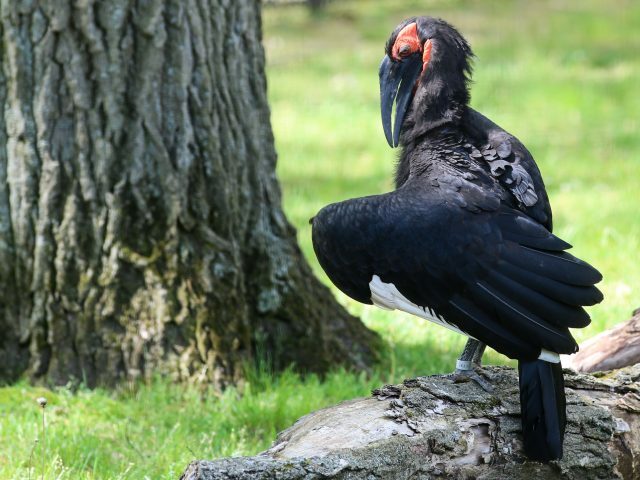 Southern ground hornbills have the ability to fly, but they spend most of their time on the ground. They hunt by probing, pecking and digging at the ground. They often walk with antelopes, zebras and other mammals. 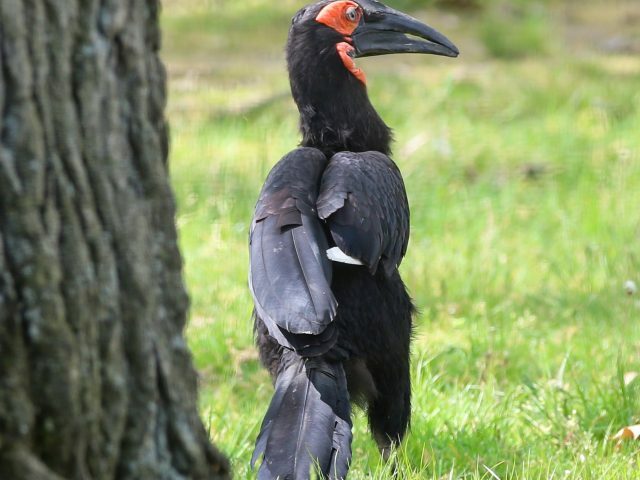 Southern ground hornbills may spend the night roosting in trees. 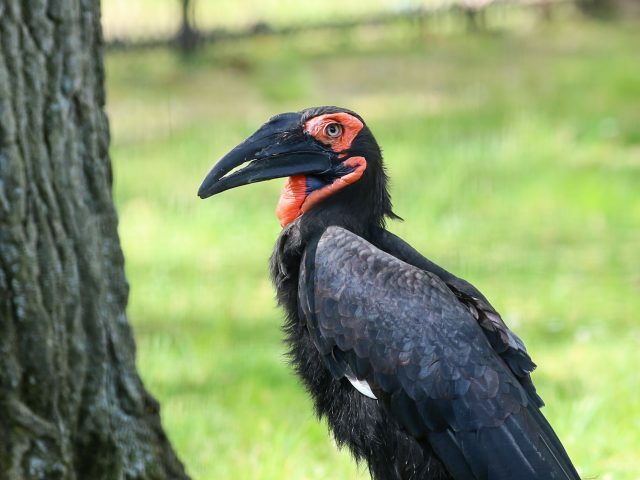 Hatched at the Tracy Aviary in 2006, our two southern ground hornbills are sisters. Stella and Ester usually get along very well, and you may see them sharing food items on exhibit. 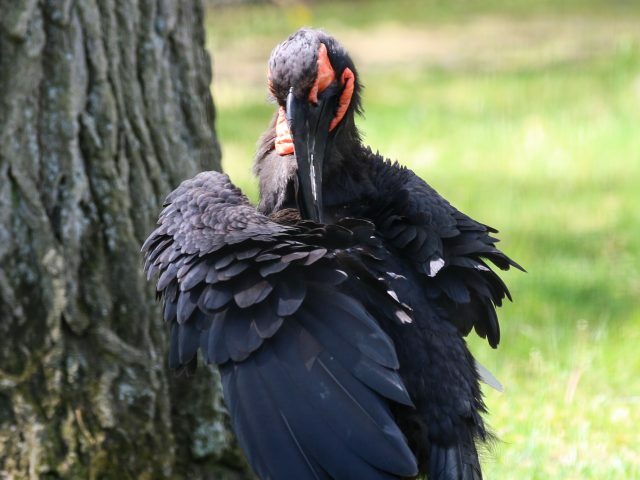 A typical southern ground hornbill measures in at 35 to 50 inches from its head to tail feathers. These birds weigh between 5 and 13 pounds, with females bing smaller than males. 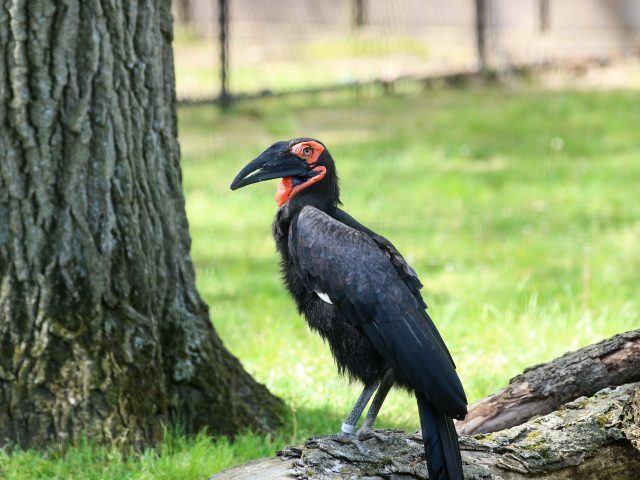 The southern ground hornbill’s diet consists of insects as well as small reptiles, mammals and birds.